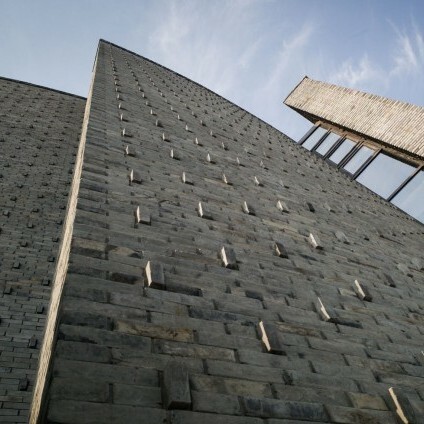 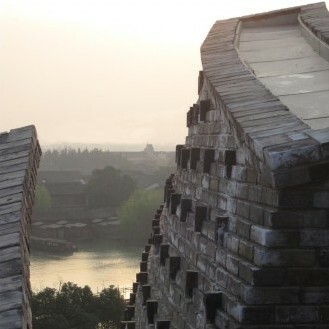 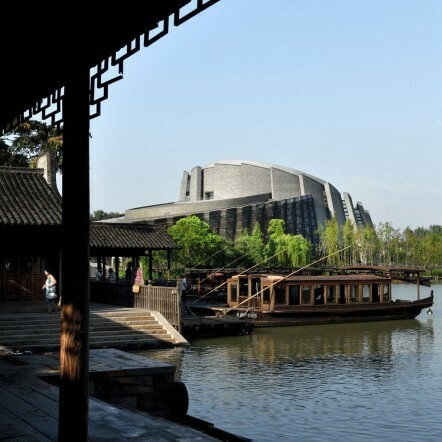 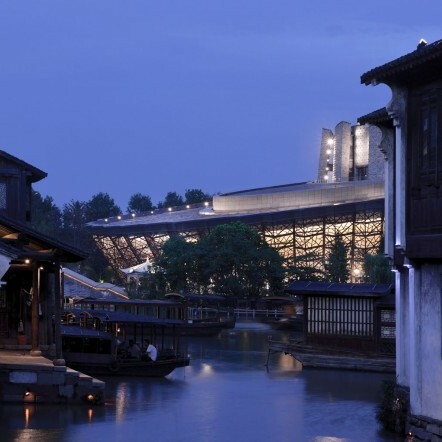 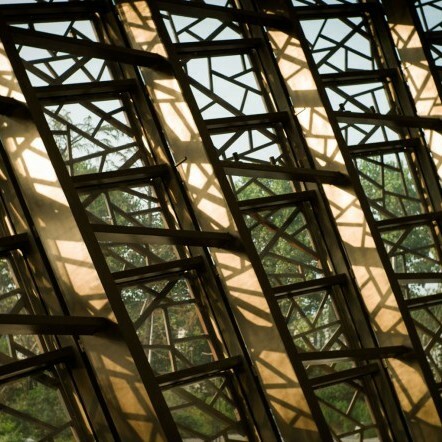 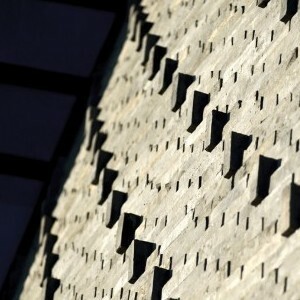 The owner of the development has a vision that Wuzhen would be an important name in the global atlas of theater. 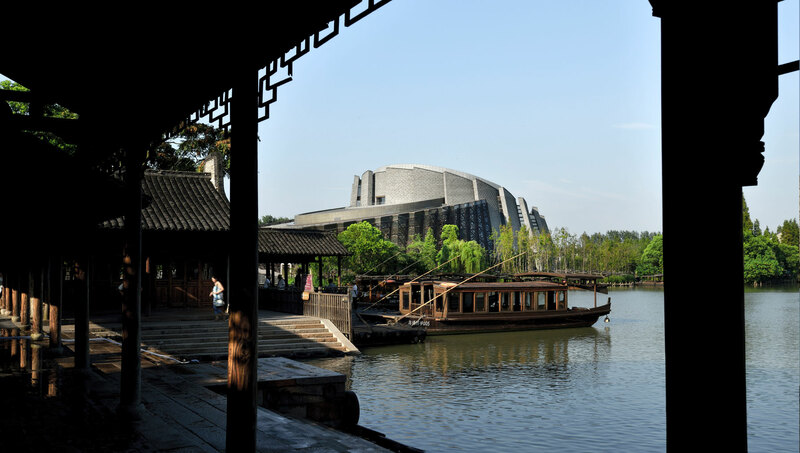 The greatest challenge of the project was to design a large building containing two functional theaters with 1200 and 400 seats back to back in this small, traditional surreal water village. 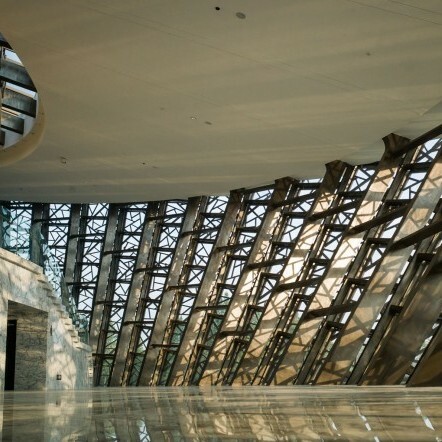 Using the culturally auspicious “twin lotus” as its metaphor, the design is composed of two oval shapes interlocking one another, one transparent and the other opaque in form. 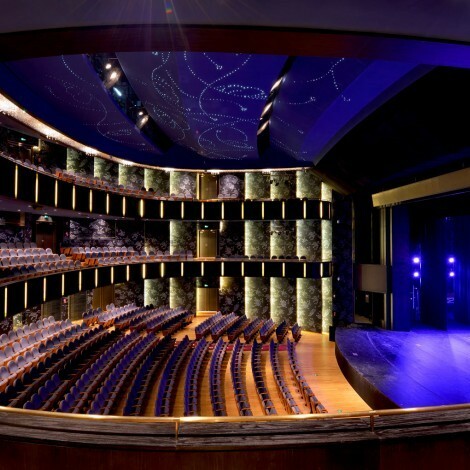 The functions of the theaters are multifold, including a design to open the two back-to-back theaters in one; therefore it can be used for various performances and events. 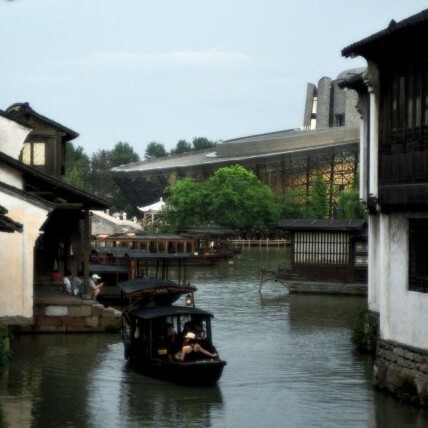 Visitors arrive at the theaters by boats or on foot. 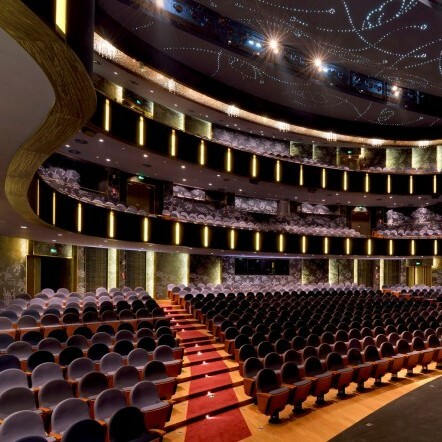 The smaller multiform theater is enclosed by the silver foil wall within the “solid” volume, where the thick pedal-like reclining wall segments, clad in ancient supersized brick, wrap around the foyer. 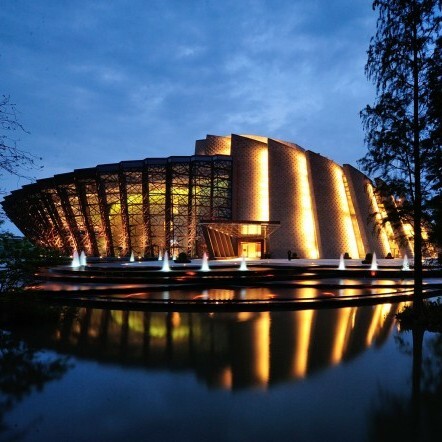 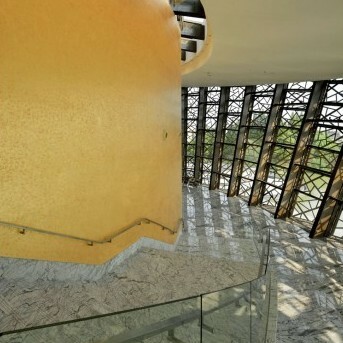 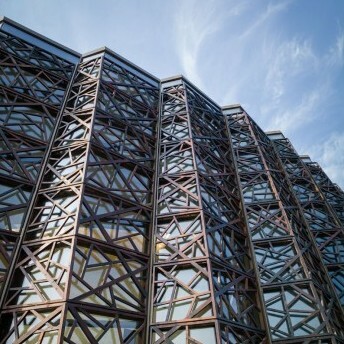 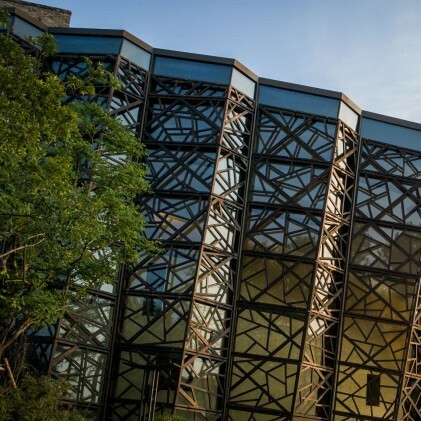 The grand proscenium theater is enclosed by the gold foil wall, sitting in the zigzag fan-shaped glazed curtain wall volume, which is front with a layer of traditional patterned wooden lattices.